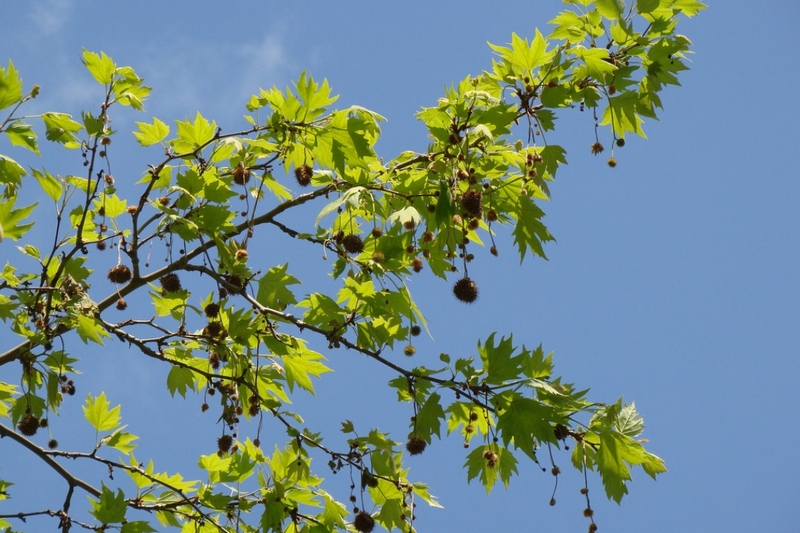 London plane (Platanus acerifolia): growing, planting, caring. The most common plane tree in urban areas ! 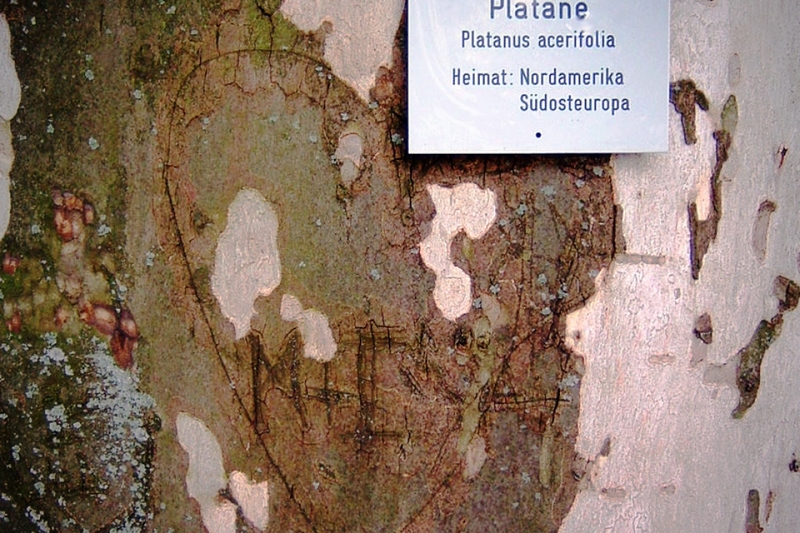 Platanus × acerifolia - the London plane - is a tree in the genus Platanus. 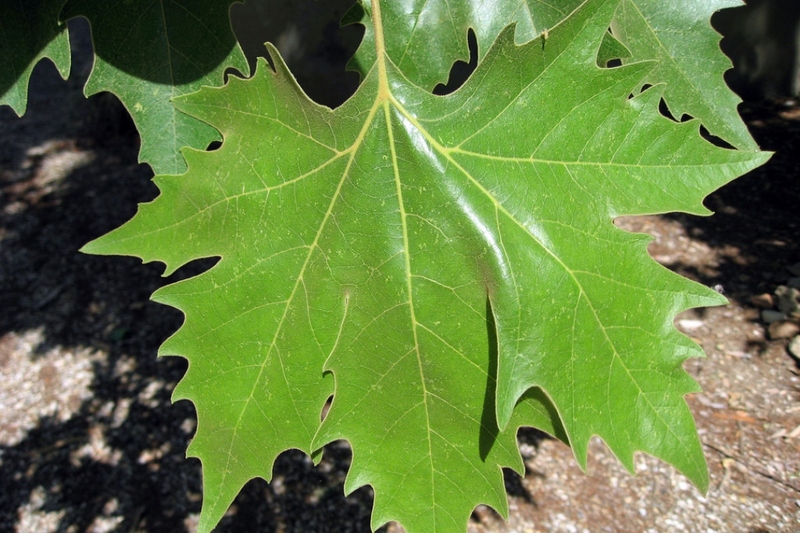 It is usually thought to be a hybrid of Platanus orientalis (oriental plane) and Platanus occidentalis (American sycamore). It is a large deciduous tree growing 20–30 m (66–98 ft) tall, sometimes over, with a trunk up to 3 m (10 ft) or more in circumference. The bark is usually pale grey-green, smooth and exfoliating, or buff-brown and not exfoliating. The leaves are thick and stiff-textured, broad, palmately lobed, superficially maple-like. The flowers are borne in one to three (most often two) dense spherical inflorescences on a pendulous stem, with male and female flowers on separate stems. The London Plane is one of the most efficient trees in removing small particulate pollutants in urban areas. 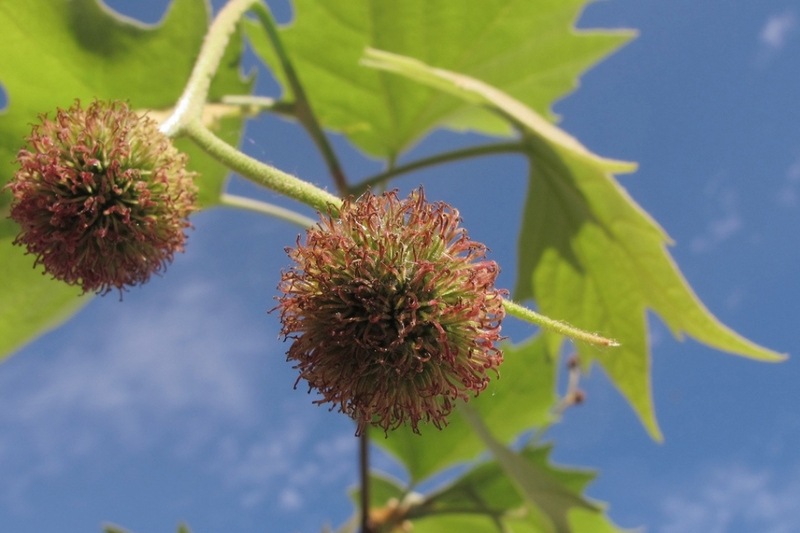 It shares many visual similarities with Platanus occidentalis (American sycamore), of which it is derived. However, the two species are relatively easy to distinguish, considering the London plane is almost exclusively planted in urban habitats, while P. occidentalis is most commonly found growing in lowlands and alluvial soils along streams.